Beebombs are ready for wholesale and proving exceptionally popular in a wide range of stockists. Beebombs are native wildflower seedballs, handmade in Dorset. We are on a mission to restore Britain's lost wildflower habitat and support Bio-Diversity. 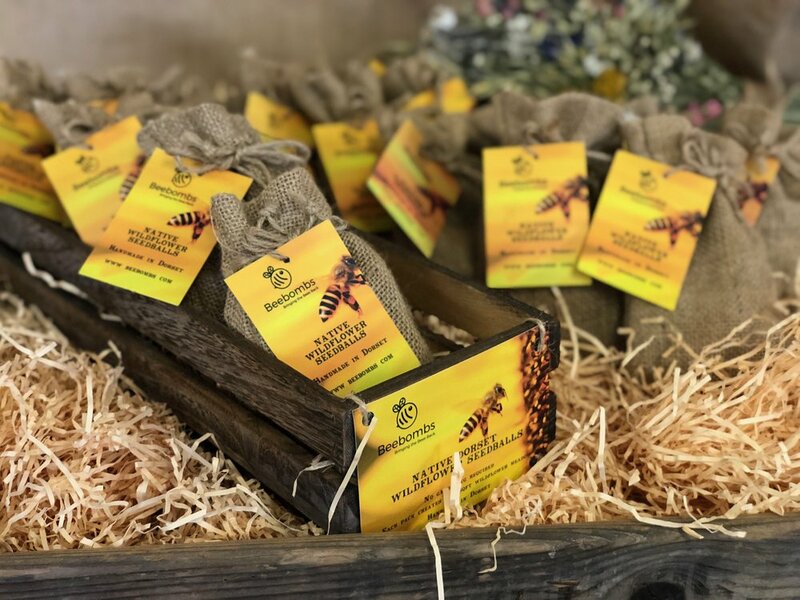 If you would like to stock Beebombs, we think you'll find us the most flexible and reliable retail partner you'll ever have the pleasure of working with. Customers will value your eco credentials as you help us #bringthebeesback. Order your free sample through the form below. Beebombs make great gifts and we are seeing incredible excitement online. Minimum order of only 20 units. Huge engagement online from ongoing professional marketing campaign. Each order comes with a slim, rustic crate and recycled coffee cup filler to present the products beautifully. All current stockists are searchable and listed with a link on our website here.